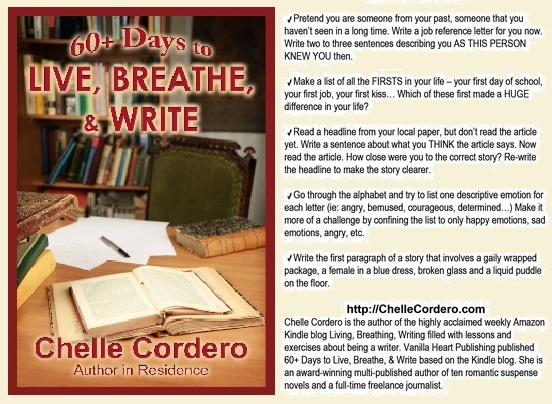 my answer was simple, "I write because I breathe." has been used in classrooms and libraries across the nation! 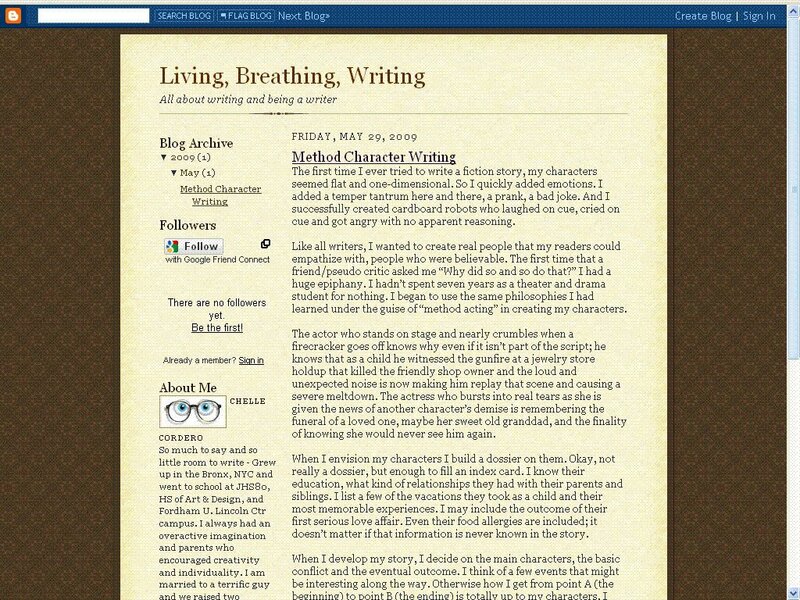 A professional author/writer shares her tips by R.M.E. Just Google Chelle Cordero's name and you will see that she knows what she is talking about - her byline has shown up on many articles all over the country in newspapers and magazines. And she has authored multiple novels and short stories as well. This is a terrific chance to learn from a pro. 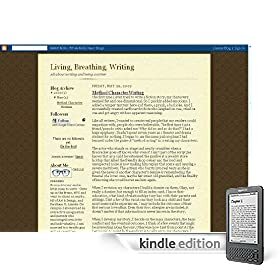 Until now only a few have been able to attend a writing workshop led by Cordero because of location, now so long as you have access to the internet or a Kindle you can benefit from her amazing tips. Her workshops have been so helpful. In 2005 Hurricanes Katrina and Rita devastated areas of the Gulf Coast. There were more than 1800 fatalities from Katrina alone and the majority of New Orleans was underwater when the levees broke. It was a total nightmare as horror scenes of destruction and tales of families torn apart were broadcast over all of the news channels. Many viewers felt helpless as we watched and prayed for all of the victims. Collections of money and resources were started to try to help in the recovery. So many emergency responders went to the devastation and worked around the clock rescuing survivors, digging victims out of the flooded rubble, and eventually helping to rebuild. The Army Corps of Engineers worked on restoring the levees. My husband was a part of a federal medical team, his team spent tours of three weeks in the various areas — he went twice to the New Orleans area and environs to provide medical assistance. When he finally came home to stay he told us about the wonderful people he met, people whose spirits should have been trampled, but instead they cared about each other, they were looking forward to rebuilding, and they even brought vats of Louisiana home cooking as a thank you to the folks who were bandaging and tending to their medical needs. But he wasn't the man she thought he was...no, he was so very much more! There are just so many conversations these days about immigrants and even more mistrust of certain groups. Yes, I admit whole-heartedly that I wanted to build that particular hot topic into my EMS suspense Hyphema. 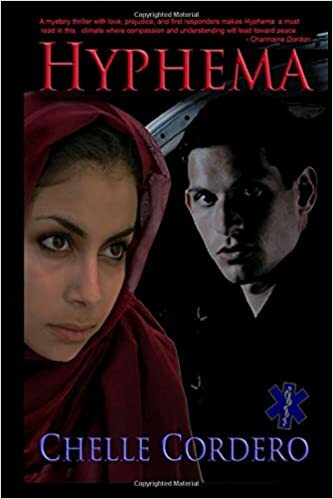 Hyphema is the second EMS (Emergency Medical Services) suspense that I wrote; the first EMS novel is Final Sin. Matt Garratti, Hyphema’s hero, was introduced to my readers as a sort of supporting character in Final Sin (as the best friend and riding partner to the heroine Julie), but he refused to let me type The End on his story when I finished Final Sin. He convinced me that he is actually a pretty interesting guy and certainly worthy of a few words. Enter Sudah, (she was never seen in Final Sin but she was mentioned near the end of the book). Sudah was born and raised in Pakistan and a practicing Muslim. She fell in love with Matt. It was a mixed-marriage (Muslim and Christian). While she hadn’t achieved her United States citizenship in Hyphema she was in the process of studying for it. With their infant son in tow Sudah follows Matt down south so that he can follow his dream job of being a flight medic. And that’s when things begin to happen, people look at her with suspicion, and when crimes happen (to others as well as Matt’s family) there are those who don’t trust her. There are those, even among Matt’s new work family, who cannot separate any Muslim from the terror attack of 2001. I try to show that there is good and evil in all sides, and I try to demonstrate both the acceptance and the prejudice against all immigrants to our country. 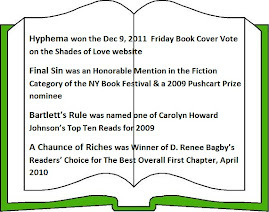 Hyphema won the Dec 9, 2011 Friday Book Cover Vote on the Shades of Love website and was recommended in the book Summer Reading: 2012 Blue Ribbon Selection published by the Ewen Prime Co. EMSWorld posted about Final Sin and Hyphema. Matt Garratti, a paramedic from New York, moves his wife and son to North Carolina to work at his dream job as a flight medic. Pakistani born Sudah, his wife, receives frosty stares and insensitive comments from their new neighbors... Matt wonders if he is pursuing his dream or bringing his family into a nightmare from which they may never wake. Art Imitating Life? …or Vice-Versa? Often I find that my writing touches on very hot topics for today’s world — honest, I’m not doing it on purpose, or maybe I am? 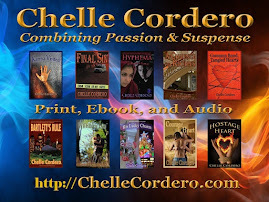 I like to write Contemporary Romantic Suspense, I guess I find it easier to relate to since it is here and now (although I often enjoy reading historical romances and other genres). But sometimes when I write these stories the topic, while still quite relevant, isn’t always as hot as it could be and then there are the times when I am shocked by how close my FICTIONAL story and real life collide. Each state has laws regarding the minimum age for a woman or man in order to marry by their own consent. Several states also have individual laws whereby a parent or legal guardian can consent for an underage minor to be permitted to marry. What is the minimum age to marry in your state? Do you think there are inherent problems when one or both members of a couple are very young? What do you think is a healthy age for marriage? If you are married, how old were you when you said “I do”? I am sure that you’ve been following some of the arguments regarding “child brides”. Just this week there was an article about one state’s Senate bill moving through legislation while there were those trying to block it. Within the state, all over the media and across the Twitter-verse, there were heated words and lots of name calling. This is a situation in more than just this state – how old does a girl have to be before being married (often) to a much older man? Many of these children have been “given” in marriage with parental consent and sometimes by mothers who themselves were child brides. 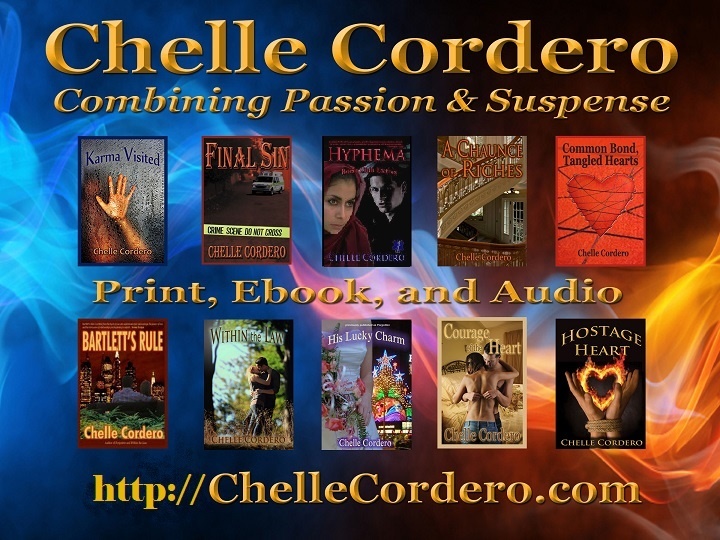 Maybe the story in Common Bond, Tangled Hearts will get people thinking? I guess this is just one of the stories (unintentionally) ripped from the headlines, it sure does seem to be a story about the times we live in. Happy National Read a Book Month!